By now you all know about my Olly Murs crush. 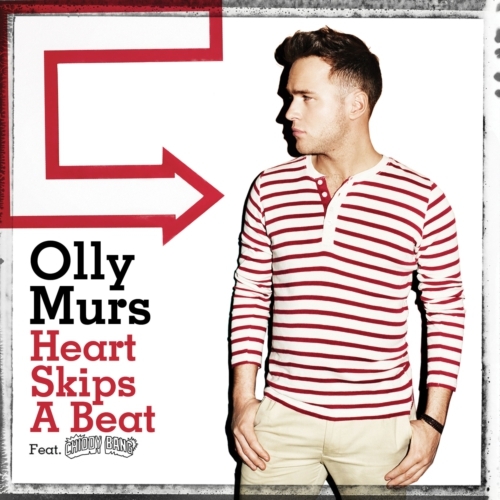 Well, latest single "Heart Skips A Beat" does absolutely nothing to get me off of my Olly Murs high. He's still cute as ever. I also was pleasantly surprised by the new song, in that it wasn't just another summery early Will Young, Jack Johnson jam song like most of his previous efforts. "Heart Skips A Beat" is actually more current than anything else he's released to date. Olly even incorporates reggae, some hip-hop and electronic elements into the track. How very refreshing. "Heart Skips A Beat" was co-written by English rapper Example, Samuel Preston, Jim Eliot and Rizzle Kicks, the latter who also appear on the track. I hate to have to repeat myself but I guess this time it's for real. Russian pop duo t.A.T.u. are no more. Donzo. Broken up. Not recording music together anymore. It's the end of an era, let me tell you. Despite having done a post about their break up back in 2009 it didn't become OFFICIAL OFFICIAL until March of 2011 (YEP - I'm a little late). In that original t.A.T.u. post, I also happened to mention a little something about Lena Katina (the fiery red head) embarking on a solo career, so in an effort to make this post a little bit more current, I present to you her Lena's first official single as a solo artist - "Never Forget." The single originally premiered back in June on the Mexican radio station FMTU 103-7, but didn't attract any real attention stateside until Perez Hilton posted the video for the single on August 2nd. The video was officially released on Katina's YouTube channel on August 5th and made available to download (along with a B-Side called "Stay") the same day via Such Much Production. The single is a lush, mid tempo pop/rock number that doesn't really stray too far from t.A.T.u. 's original sound. The only real difference, musically speaking, that I can detect (aside from the absence of Lena's bandmate Julia Volkova) is that the song is decidedly NOT electro pop and that's OK. The song and the production is quite beautiful, with Lena's voice sounding stronger and more confident than ever. In the darkly symbolic video for "Never Forget," Lena buries t.A.T.u. once and for all. Starting out in a morgue, we see the two girls' bodies, including one that's supposed to represent Julia. The rest of the video is set in some sort of a chapel or mausoleum and a cemetery where we see gravestones for the two girls. Morbid though it may be, the video is beautifully shot! The lighting and scenery is absolutely stunning and Lena looks radiant. The clip was produced and edited by Mad Capper Studios. You can watch the censored version below but if you want the full UN-censored version you can check that out HERE. While I knew Lena was working on an album, here in LA as well as in Europe, I wasn't really sure what Julia was doing or if she was even still singing. Well, not only is she still singing but it looks like she's delved into acting as well, starring in a zombie movie of some kind. More excitingly, Julia Volkova will be unleashing her first solo single on the world very soon. Entitled "All Because of You” / “Sdvinu Mir, the single was first announced earlier this month, when we learned that that Julia had signed with EMI’s Russian affiliate Gala Records. The single was recorded in Sweden this past summer and produced by Niclas Molinder, Joacim Persson, Johan Fransson, Tim Larsson and Tobias Lundgren – a talented production team that has worked with big names including Sophie Ellis-Bextor, Мiley Cyrus, Sean Kingston and Ashley Tisdale. According to Julia's website, the song will also be released in a Russian-language version under the title ‘Сдвину мир’ (Sdvinu Mir). AHHHH-MAZING! Never really known for their vocal prowess, the girls of t.A.T.u. relied mostly on catchy beats and slick production which earned the girls international chart success, especially with their debut English single "All The Things She Said." Written by Sergio Galoyan, Trevor Horn, Martin "Cherry Cherry Boom Boom" Kierszenbaum, Elena Kiper and Valeriy Polienko and produced by Horn, "All The Things She Said" was released back in 2002 where it managed to top the singles charts in 10 countries including Australia, Germany and the UK. Over here in America the single became t.A.T.u. 's one and only Billboard Hot 100 hit, peaking at #20. Their debut English language album, 200 km/h in the Wrong Lane was released in 2002, going Gold in the U.S. AND UK and peaking at #13 and #12 respectively on the album charts of those two countries. Follow up single "Not Gonna Get Us" wasn't nearly as successful as it's predecessor but it did earn t.A.T.u. their first Billboard dance hit. Labels: Julia Volkova, Lena Katina, Music News, Music Videos, t.A.T.u.